In last year's documentary Citizenfour, Edward Snowden said, "I remember what the internet was like before it was being watched." Snowden is just 31 years old, so there's simply no way this is true. 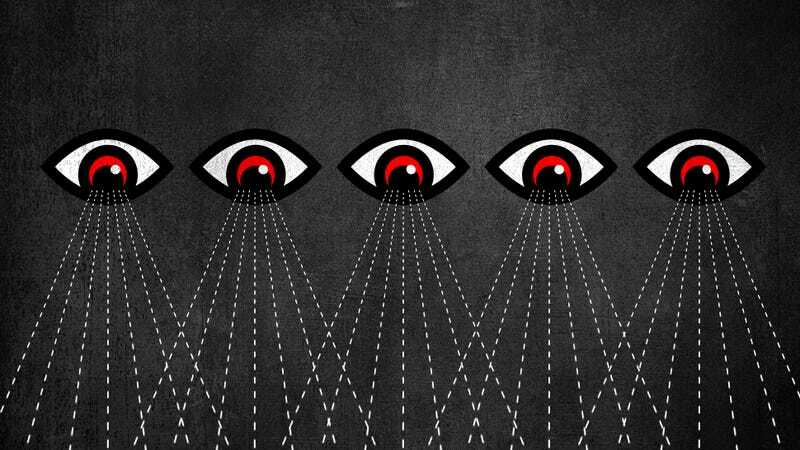 Intelligence agencies have been keeping tabs on the internet since before Snowden was even born. They were instrumental in creating it. For the past year or so, I've been researching the pre-Snowden history of internet surveillance. We know from Snowden and a handful of NSA scoops that preceded his revelations that intelligence agencies have been capable of vacuuming up vast swaths of internet communications for more than a decade. But what about those early days of ARPANET and telephone-cradle modems and BBSes? What about the internet's infant and toddler years, when, in Snowden's recollection, it wasn't being watched? After more than a year of researching the topic, I still have more questions than answers. But I've started to assemble the scattered pieces of what we know, and over the coming weeks—hopefully with your help—we'll be exploring this buried history of internet surveillance. The long and the short of it? There's sufficient evidence that U.S. intelligence agencies have been monitoring the internet since before it was even called the internet. In fact, it was a pretty important part of their jobs in the 1960s and '70s. After all, these were computer networks that American intelligence agencies had in many ways helped to develop. Agencies like the NSA, CIA and the UK's GCHQ had a vested interest in, and were "early adopters" of, networked computing tools. Every Friday for the next five weeks we'll be examining the history of how intelligence agencies have used and kept tabs on not only the internet, but various pre-internet networks. We'll be discussing history that you might be in some ways familiar, such as the creation of the ARPANET. But we'll also take a look at some lesser studied networks such as COINS, COINS II, and PLATFORM — old intelligence agency networks that might sound mysterious if only because they don't yet have Wikipedia articles. We'd also like you to help. Did you work on the early internet? Maybe you have an uncle that worked for the DARPA contractor BBN or your mom worked at NSA. Maybe they have some interesting stories or documents from their time building or monitoring these wonderful tools. Just maybe. You can send an email to novak@gizmodo.com (PGP Key), or deadtree documents to: Gawker Media c/o Matt Novak, 210 Elizabeth Street, New York, NY 10012. This series is just the beginning of what I hope will be more investigations into how intelligence agencies have used the internet. Hopefully it can serve as a jumping off point for historians to dig deeper. Because if we're going to understand the future of our strange and beautiful internet, our best guide just might be behind us.